Have you been to Nara? If you have been to Japan and have yet been to Nara, you should plan a day trip there if you are visiting Japan again. Nara is close to Osaka and Kyoto. An hour train ride from either side will reach Nara. 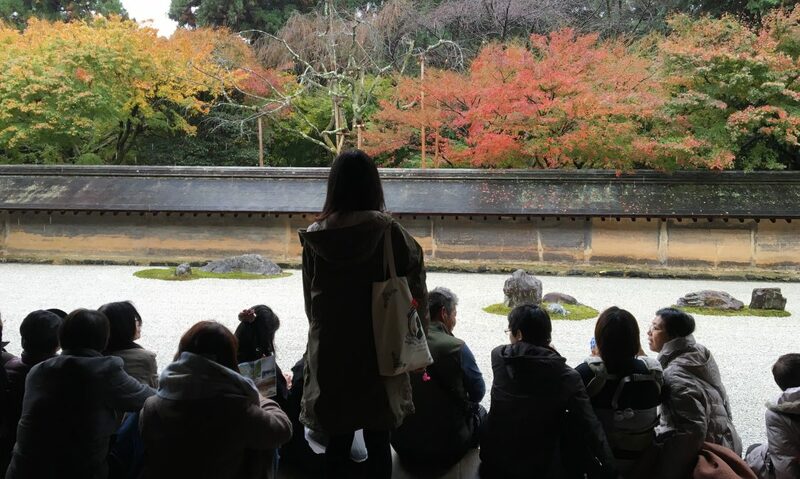 It has the largest and oldest temples of Japan and many historic treasures here too. Really cute herd of deer. Everyday you will get to see them roaming around in Nara park like cats in our neighborhood. Please take note that they have keen to nudge you for food. The food is actually biscuit and can be bought from the local stalls at 50yen. Deer was considered the messengers of the god during the Shinto period. I did spend some time feeding one of the younger ones before one bigger one came over and stole the food. It even bite my pants after nudging me. By walking from the Nara station, you can get to Kofukuji temple. Its free to walk around the area. I was a little disappointed when I was there as the area was under construction and nothing much that I could do and see. I did not spend longer than half an hour here so I went to my next stop, Todaiji. I believe Todaiji is one of the most famous temple in Nara. It was constructed in 752. Todaiji’s main hall which is the Daibutsuden is the world’s largest wooden made building. The temple houses one of the largest bronze statues of Buddha, Daibutsu. At height of 15m, the buddha represents Vairocana and is flanked by 2 Bodhisattvas. My morning trip has came to an end at around 11am and I was ahead of schedule by an hour. I thought of going to Kasuga Taisha but I have to take a long walk so I decided not to go. Decided to walk back to Nara station for lunch. Had one of the best Tonkatsu lunch in months. Even though the portion may look small. The meat is tender and breaded crumbs were crispy. I really like the refillable cabbage that can go along with the salad dressing. The miso soup is the plus point as it warmed my body well for the next destination. Still deciding on whether to visit Nara? Check back for the final Nara trip post. My favorite and last temple visit of this Kansai region tour. See ya soon!